When things get rough on Earth, Captain Marvel calls in friends from out of town - way out of town! 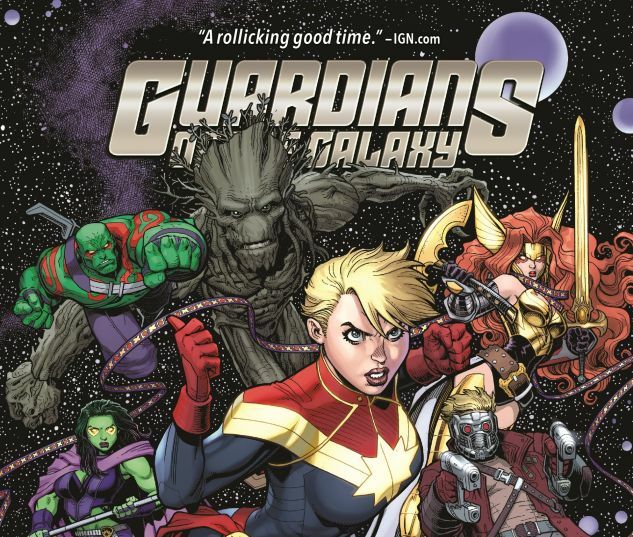 Iron Man doesn't stand a chance against the Guardians, right? But the team members' allegiances are split down the middle, and tensions have never been higher! And while they're busy on Earth, who's guarding the galaxy? 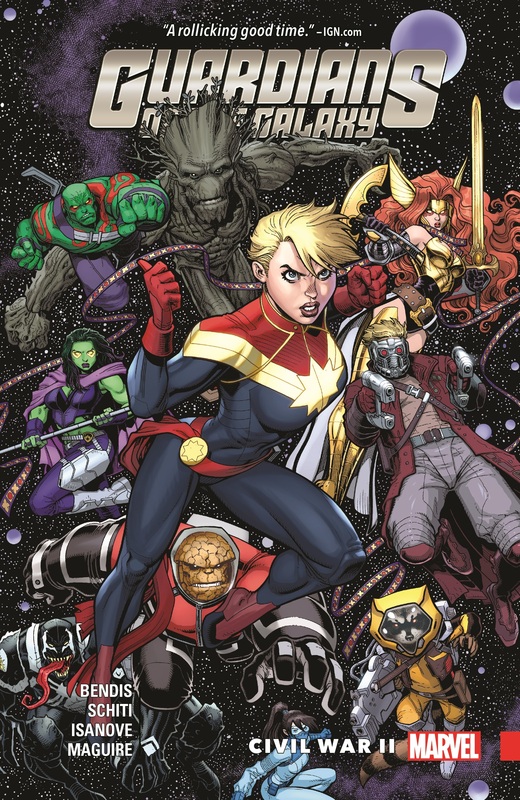 As internal conflicts reach a boiling point, outsiders throw more fuel on the fire - and one member with deep roots on Earth will struggle to hold on to their galactic connections! Plus: Flash back to Flash Thompson's earliest days on the team! Would Venom endanger his new allies to save his idol, Spider-Man? Find out why Spidey is one of the reasons Rocket hates Earth! 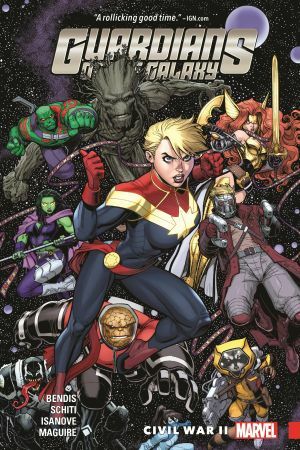 Collecting GUARDIANS OF THE GALAXY (2015) #11-14 and material from FREE COMIC BOOK DAY 2016 (CIVIL WAR II) #1.